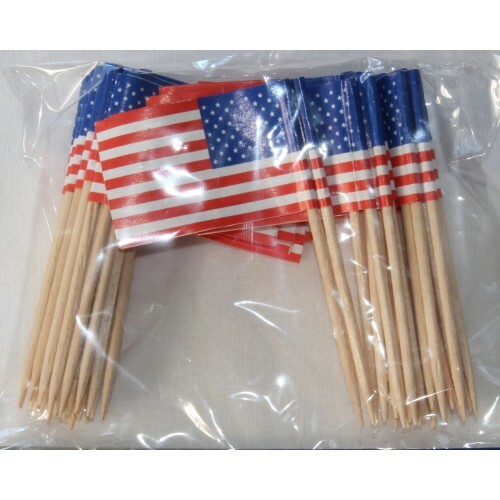 American USA flag picks can be used for both hot or cold food or as cupcake toppers at your next party. 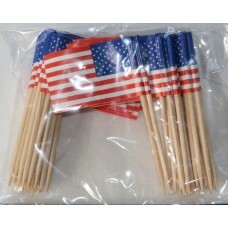 Each American flag is attached to a wooden toothpick. Pack contains 50 cocktail toothpicks.